Cindy Smit submitted this photo and caption. 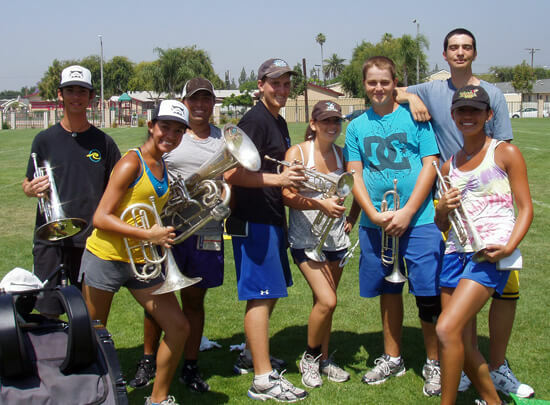 This is a photo taken at a Pacific Crest rehearsal at Azusa Pacific University the day before they left for the Nor Cal tour. The PC members all marched together at Rancho Cucamonga High School in Rancho Cucamonga, Calif. They are looking forward to the tour and continuing their musical friendship together after high school. In the photo: Taylor M., Shannel S., Nathaniel B., River H., Audrey C., Ryan C., Nick L. and Nicole S.